WHO Sugar Guideline 2015: What does it mean for you? Written by Catherine Saxelby on Thursday, 11 June 2015. Last year, the World Health Organisation (WHO) revised their 2002 guidelines on sugar intake. A draft was released for comment in late 2014 (you can read Catherine’s summary here) and now the final publication is available. While the main guideline didn’t change, they did add a suggestion to further reduce their initial recommended intake by half, to prevent dental problems. 1. Energy-dense and nutrient-poor, sugar can quickly increase your overall kilojoule/calorie consumption. 2. Sugar-laden foods take up space in our diets that could be filled with nutritious foods, such as vegetables, nuts, fish, etc, leading to an increased risk of obesity, heart disease, diabetes and other diet-related diseases. 3. 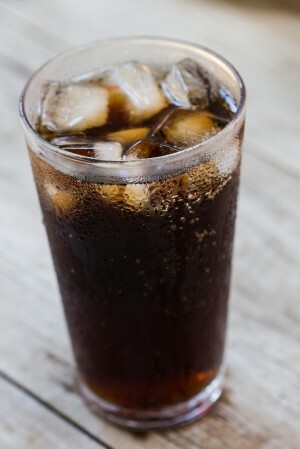 There are strong links between high sugar intakes (particularly of sugar-sweetened beverages like soft drinks) and dental caries or holes in the teeth, a problem that is often painful and expensive to treat. The guideline was developed by an expert panel of international health professionals, who assessed available evidence on sugars in order to develop a practical intake recommendation for both children and adults. There is also a lower ‘conditional’ guideline that suggests aiming for less than five per cent, but the evidence behind it is weak (see here for summary for health professionals). Of course, it’s not just the visible white grainy stuff that needs to be considered; ‘free sugars’ refer to the hidden sugars in many foods, and these need to be addressed as well. Importantly, it does NOT include sugars naturally present in milk (lactose), whole fruit (fructose, glucose) and vegetables (fructose, sucrose) as these are deemed safe and okay to consume in any amount. These 'free sugars’ are not the same as the ‘sugars’ that you can read on the Nutrition Panel of a food label. Free sugars include the natural sugar (fructose) from fruit juices and juice concentrates (which are deemed a problem as they’re similar to what’s included in soft drinks), but not the natural sugar from dairy and whole fruit. So it is impossible to work out how much free sugars you’re actually eating just by reading the back of a pack. So, for now you can work it out by looking at what you drink or where your main sources of sugars are (e.g. soft drink or fruit juices (see table below)). So what does ‘Less than ten per cent total energy’ actually look like? The actual volume of sugars you can safely eat will vary depending on your daily food intake, which is higher for some (such as active adults, growing teenagers and those recovering from significant illness or injury), and lower for others (e.g. younger children, women and those who are sedentary). However, if we base our calculations on the average intake for adults in Australia and use the kilojoule count figure of 8,700kJ cited on many food labels, or 2,080 Cals) then ten per cent means 870kJ (208 Cals) coming from free sugars. This equates to 54g or approximately 13 teaspoons a day. Let's round this to 50g or approximately 12 teaspoons a day. Considering the number of teaspoons added to everyday foods (see examples below), let alone sugary soft drinks, biscuits, chocolates and ice creams, it’s easy to see how even those who don’t physically add sugar to their food or drinks, could be exceeding this amount. Check out Catherine’s example daily sugar counts here. Note: to calculate sugar content in teaspoons, divide the number of grams of sugar by 4. These are level, not heaped, teaspoons. As I’ve said before, sugar is A problem in our national diet, but it’s not THE problem. We definitely need to cut it back as this WHO report outlines, but we don’t need to completely eliminate it from our diet. The goal is to keep our intake under 12 teaspoons a day which, as you can see, means cutting down or cutting out on most of the packet and processed foods we now consume.